Cloudhead Games LTD picks up the VR Game of the Year award for The Gallery - Episode 2: Heart of the Emberstone at 2018's VR Awards. Last night saw the annual VR Awards ceremony taking place in London, England, featuring a range of games, films, and companies nominated across a vast array of different categories. The black-tie event saw a number of interesting categories showcasing the ever-expanding power of virtual reality including VR Marketing of the Year, VR Education of the Year, and VR Architecture and Real estate of the Year. On the video game front, the competition was stacked heavily with a total of 13 titles shortlisted for the prestigious VR Game of the Year award. Among those nominated were the incredibly popular Beat Sabre, nDreams’ hilarious supermarket shooter Shooty Fruity, along with two titles from Bethesda Softworks in the form of Fallout 4 VR and The Elder Scrolls V: Skyrim VR. However, the out and out winner of the VR Game of the Year award was Cloudhead Games LTD’s The Gallery – Episode 2: Heart of the Emberstone. The Gallery – Episode 2: Heart of the Emberstone is a gorgeous, sweeping title in which you must unravel mysteries using a gauntlet to discover the history of a long-forgotten civilization. 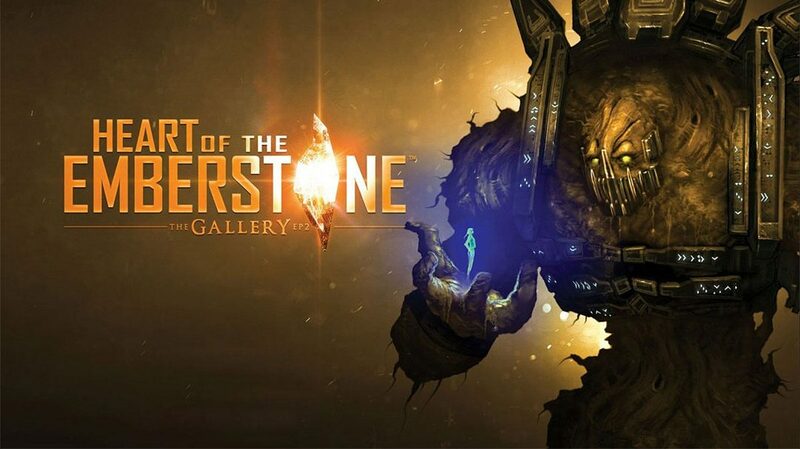 The critically acclaimed and multi-award winning virtual reality title The Gallery – Episode 2: Heart of the Emberstone is available now on PC. As is tradition, Madden NFL 20 will be arriving this coming August before football season, with the Chiefs' Patrick Mahomes on the cover.